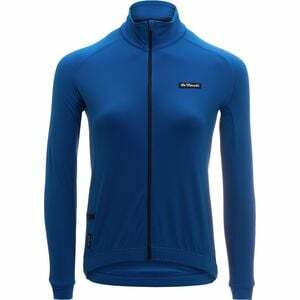 Product Condition: The Training Jersey - Women's is in Excellent condition. This jersey was previously owned for three weeks. The following observations were made regarding this item. *It was used for an occasion. *It doesn't have any defects in it at all. *It got minor dirty, cleanable. *All items sold as is, all warranties void. The material improves the jersey's ability to regulate temperature by insulating in colder months while still allowing the jersey's ability to wick moisture. As this is De Marchi, the jersey employs a strikingly subtle design that we can't help but note â€” classic and elegant. Other features like a full-length zipper contribute to its cooler weather practicality, while a zippered side pocket provides space for riding essentials. QUESTION: Is there a tag attached to this item?